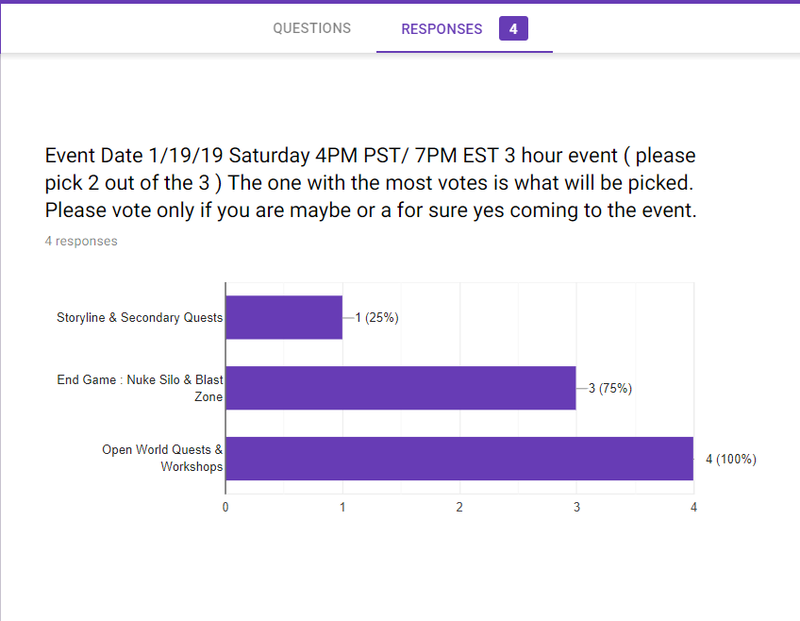 From now on all events will be pick by you all, the community. 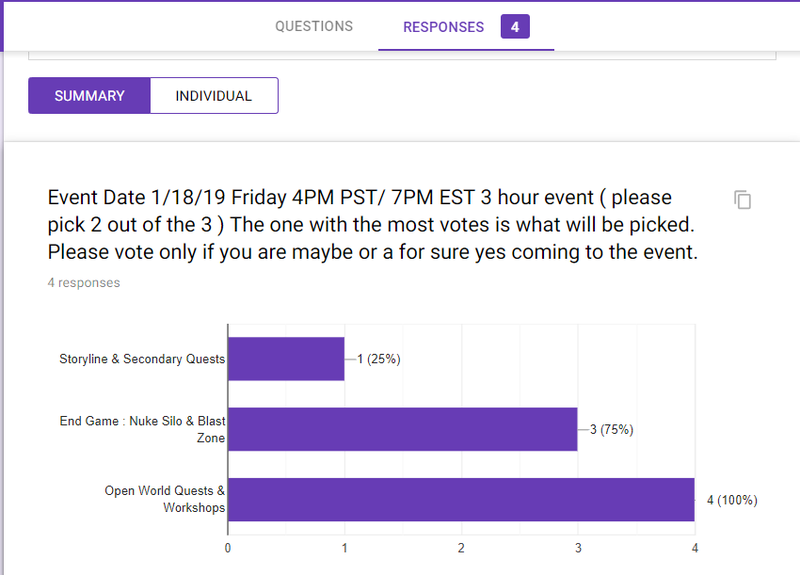 Recommend that you are a maybe attending event or yes your are attending the event to cast your vote per the dates stated in the polling question. Which on Tuesday will be posting the upcoming week's Events. This is why we were given several voice channels to allow us to have multiple groups running at the same time, so we can each play the way we want too. Please note as well that if at any given time, events may be canceled by me if real life stuff does come into play. I apologize for this upfront. 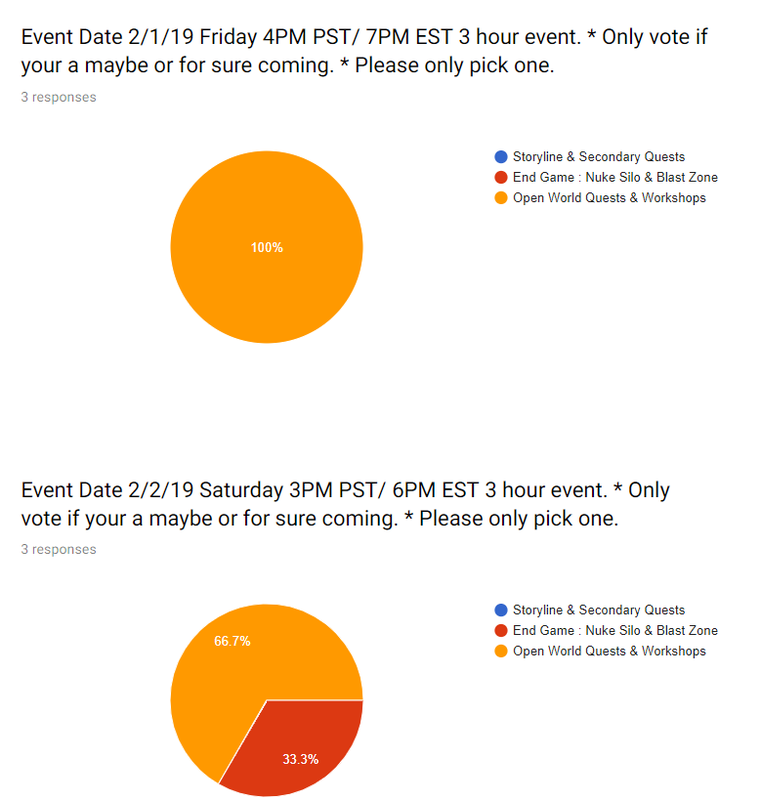 The voting poll for 1/25 & 1/26 Events - Are closed.